A look at airline brands that are anything but airline. You check-in for your flight, receive your boarding pass, tag your baggage, and make your way through the terminal to your gate. Travelling by air is an experience that some may consider a chore, however I marvel at how airlines are branded among others, and how the customer experience taking XYZ Airline develops from booking to takeoff. Winkreative is a branding firm which has developed visual identities for many airlines across the world seems to have the process nailed down. 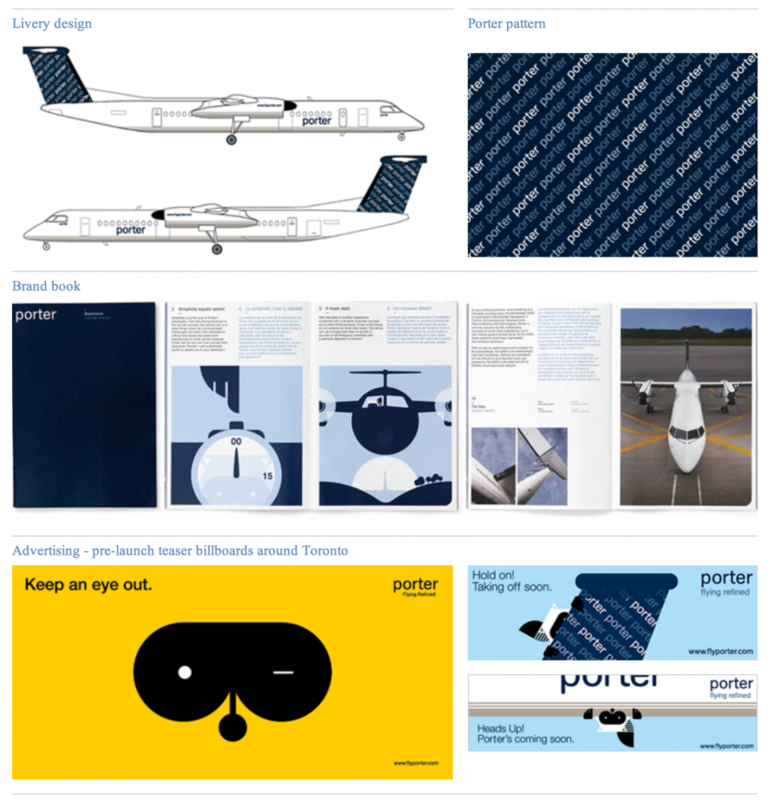 Winkreative has an extensive portfolio in the airline industry, having branded the visual identity for Toronto’s short-haul and modern airline Porter Airlines, Swiss National Airlines, as well as a float plane charter airline, StndAIR. What makes their approach on branding stick out, is that they don’t provide their clients with a one-size fits all approach that follows every other commercial airline. Instead, they create a completely different brand for the values and niche market that their clients had. In an era where every domestic airline was cutting costs at every possible corner, reducing in-flight amenities, and cutting every possible “fun” aspect of flying, Porter Airlines emerged doing just the opposite. Their brand values were “flying refined” and returning the luxury and “style” back to short-haul flights, and these values created their brand voice that was marketed not as an airline that got you from Toronto to Ottawa, but an airline that got you form Toronto to Ottawa quickly, hassle-less, and most importantly, enjoyably. Apart from their in-airport perks of terminal lounges and complimentary refreshments, they possessed a visual brand that reflected the lifestyle of modern and urban professionals commuting between North America’s eastern downtown cores. Winkreative, the brand agency that handled Porter’s visual identity, created a visual brand that had “Bay-street-young-professional” written all over it. This persona that became attached to Porter’s brand set them apart from every other airline that had one perk, and one perk only: getting you from A to B. This is StndAIR’s website, a perfect example of tailored niche branding for an airline. 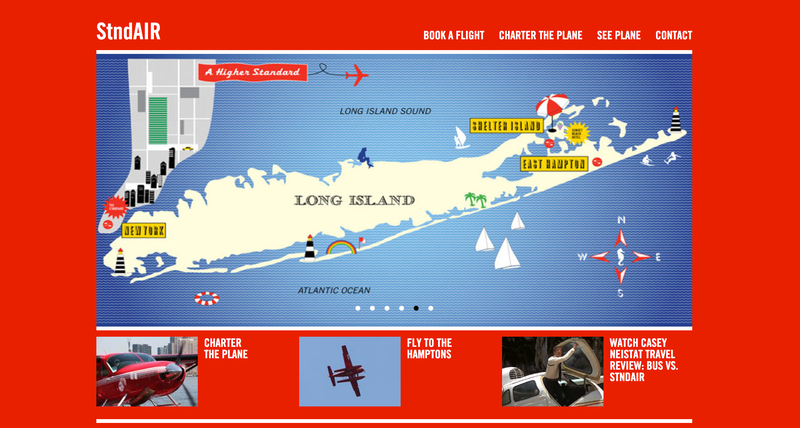 StndAIR, a tourist airline service and charter company that shuttled visitors between their Standard Hotel property in East Hampton, NY and New York City tasked Winkreative with creating their brand that would add to their Standard mode du vie. In essence, the StndAIR brand that was created had nothing shouting “airline” or screaming at you to “book your tickets”. Hey, we can’t forget that this is a posh float-plane business after all, charging you almost $12 for every minute you’re in the air. Visiting their website exposes you to the experience of flying their float plane and the authenticity behind the brand. From the looks of it, as well as Casey Neistat’s video review of StndAIR, it feels as if your retired uncle finally invited you out to the cottage on his seaplane. ← Has Apple lost its brand's shine?